We have a number of different hall and room booking options at St. Mary's. If you do email please include a telephone number so we can call you back. The Office is open Tuesday to Thursday from 9.30am to 12.30pm, please leave a message outside these hours and we will get back to you as soon as possible. 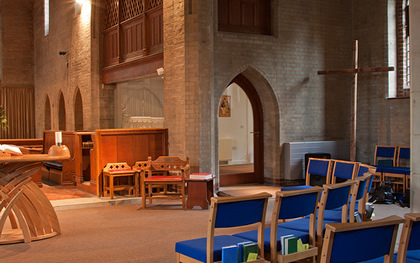 The Family Room is a flexible meeting space inside St. Mary's Church and is a fantastic venue for concerts, a great rehearsal space and perfect for an exhibition. 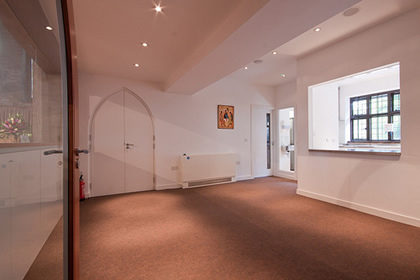 This room, along with the redevelopment of the toilets and kitchen in the church, was part of the 7 Whole Days project to create an open modern building for use by the community seven days a week. It is 4m x 4m and has the capacity for 16 seated in a circle, 14 seated lecture style and 12 seated at 2 tables. There is also a shuttered serving hatch to the kitchen. The kitchen has the capacity for refreshments for 150, or a meal for 30. There is a stove, sink and full range of catering equipment, as well as crockery, glassware and cutlery. The Family Room is £25 an hour. 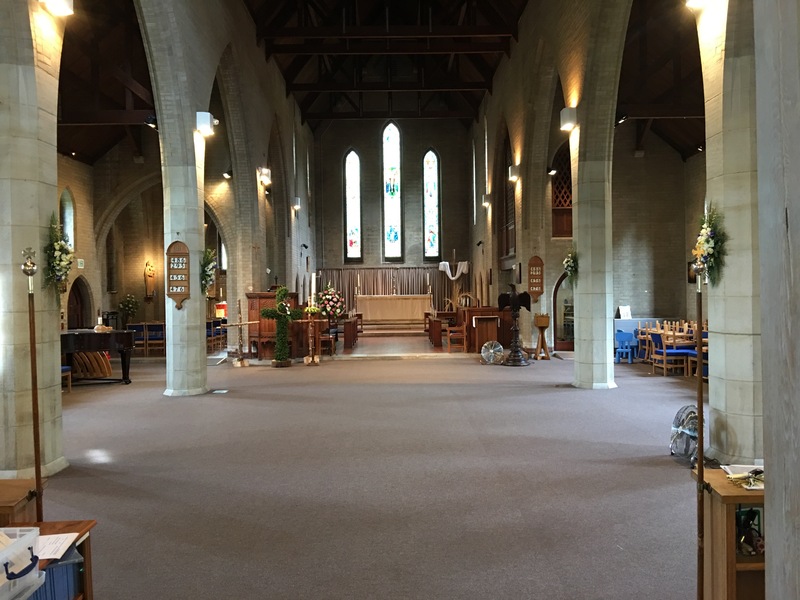 The Church Nave is 12m x 12m in size and has the capacity for 150 person standing reception, 30 seated in a circle or 150 seated lecture style. It has wi-fi, a lighting and sound system and a piano. The Church Nave is £25 an hour. St Mary’s is fully accessible to those who have impaired mobility, and suitable for babies and toddlers.